The Moe-Bridges Company was established in 1915, in Milwaukee, WI. In 1943, the company was renamed The Lighthouse, and then Visa Lighting in 1963. Today, Visa Lighting is thriving, and still in Milwaukee! 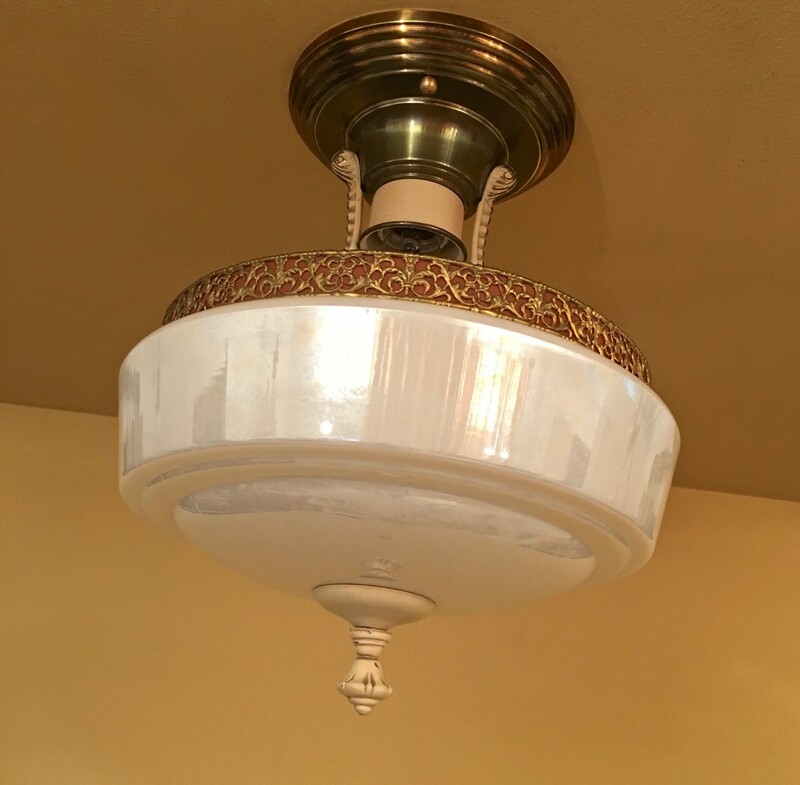 Today, I listed a gorgeous 1930s ceiling fixture by Moe-Bridges! 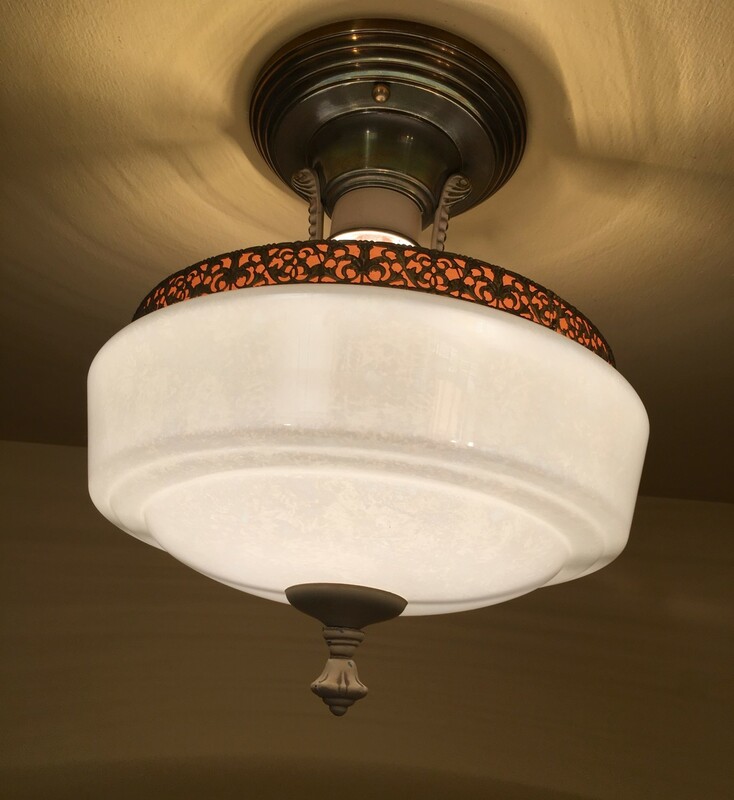 The fixture is ideal for a foyer, hall, or powder room. 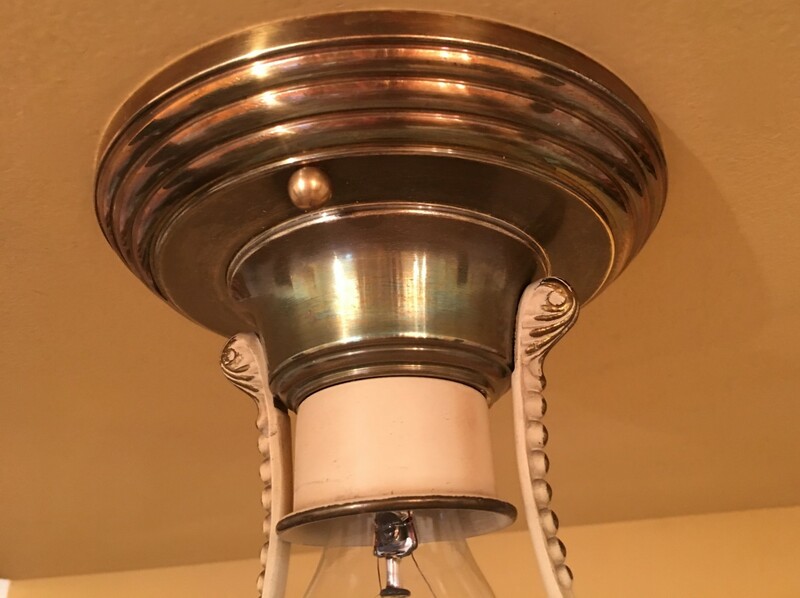 The shade is just lovely, and with a pearlescent quality. …is covered by a truly stunning and intricate brass filigree band. Wow. 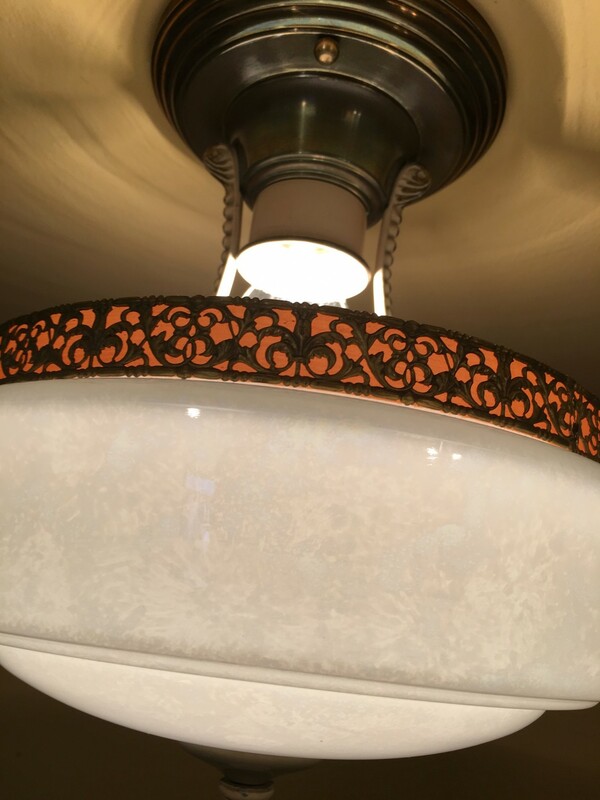 The shade is held by two beautifully detailed arms. LOVE it! One Response to A Lovely Moe-Bridges! Stunning filigree! 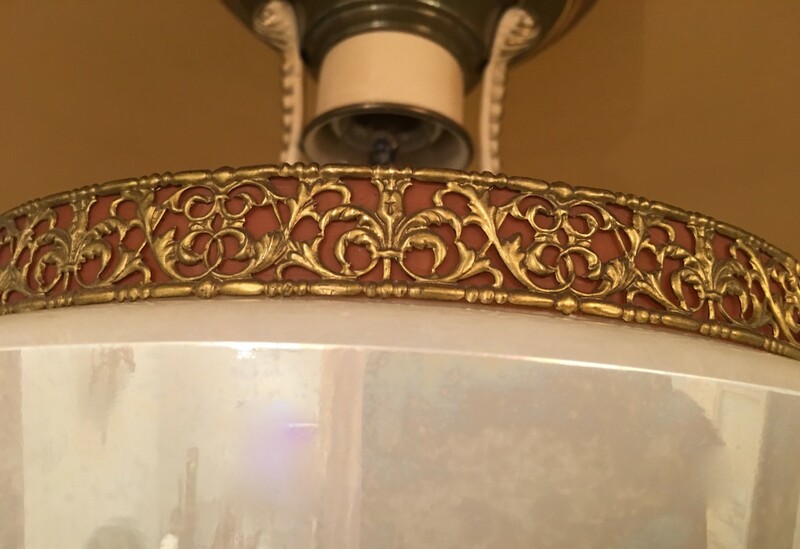 A truly gorgeous fixture! The craftsmanship is amazing.